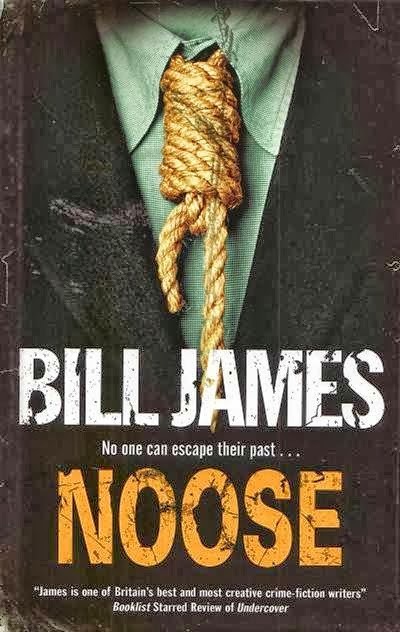 Bill James, author of the extensive series featuring detectives Harpur and Iles, is a master of misdirection, in both his language and his plotting. In Noose, a stand-alone novel or perhaps the start of another series, the misdirection starts with the title: though there is a hanging in the book, there are far more "nooses" that simply entrap the main character, Ian Charteris, in various personal, professional, and political commitments. The story takes place in 1950s London for the most part. The misdirection continues with the opening pages, when Ian, a freelance journalist, is sent to cover the attempted suicide of a young actress who, as it turns out, may be his own half sister. But what seems to be the start of a newspaper-based crime story turns out to be something else, and in fact the book begins at the end of the story (or ends before it begins, perhaps). Most of the book is backstory, as we see Ian's difficult family life, dominated by an Iles-like egomaniac for a father and envlivened by two foundational episodes. The first is his father's primary claim to fame: when Ian is young and his father is a deckhand on a river ferry, a young woman falls overboard and both Ian's father and the captain of another boat dive in to save her. The other incident is a wartime murder that occurs in an air-raid shelter; Ian is a witness and the conviction and execution of the admitted killer turns on his evidence. We return to these episodes, and to the odd father, repeatedly as we also follow Ian's brief career in the air force, an attempt to recruit him into another, more secret, service, and his life as a journalist (as well as his family life once he's happily married--his wife is in fact an interesting character in her own right, one of several intriguing women in this book and in James's oeuvre as a whole). What seemed to be a crime story about a journalist becomes, along the way, a wry spy story (with frequent references to espionage novels not yet written at the time of the narrative). Wry is in fact an apt description of the whole book, especially the prose style (which you'll recognize if you've read any of the Harpur & Iles books). 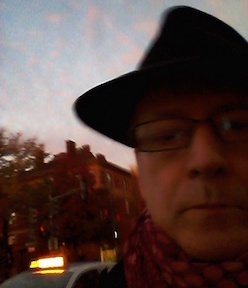 James (not his real name, I believe, and he writes under at least one other) is a kind of P.G Wodehouse of crime fiction (and he invokes that writer as well in these pages). The characters conceal more than they reveal in their conversations with one another--in fact their interactions might be more aptly described not as conversations but as dislocated speeches or salvoes launched past one another. The text is frequently very funny, and the progression of the novel quite eccentric. What seems to be a slow-moving coming-of-age tale shifts into high gear along the way and as a reader nears the end it seems hardly credible that the story is going to be able to conclude in any coherent way in the pages remaining. James accomplishes a satisfying conclusion, though, in his own way and the book is ultimately satisfying. It's unlike any other spy novel, though perhaps closer to Mick Herron than John LeCarre.I received both this and the most recent Harpur & Iles book through NetGalley.com, and I confess I bogged down in the detective story, which seemed to repeat the tropes of the series in high gear, but Noose was a pleasant, satisfying, and surprising read.